No limit per person, but limit 1 per transaction. 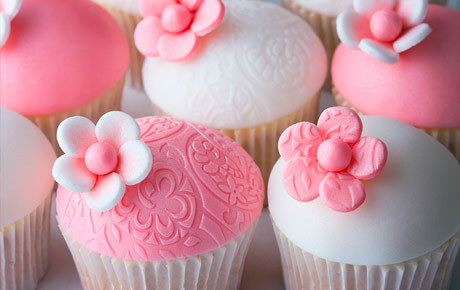 Valid on 6 specialty cupcakes with your choice of cake, icing and design. New customers only. Promotional value expires 365 days after purchase. Satisfy your sweet tooth with 27% off six specialty cupcakes from YB Ice Cream and Pastries in Schaumburg ($22 value). These sweet treats will be made with your choice of chocolate or yellow cake and topped with any flavor of icing. You can also choose a creative design to match the theme of a birthday party, or just to match your mood. Mark, owner of YB Ice Cream and Pastries, has worked as a Master Pastry Chef for several companies and recently decided to open his own shop. He aims to please each customer with his beautiful and tasty treats, and his amazing creations are sure to put a smile on your face. Sugarcoat any occasion with this sweet deal.